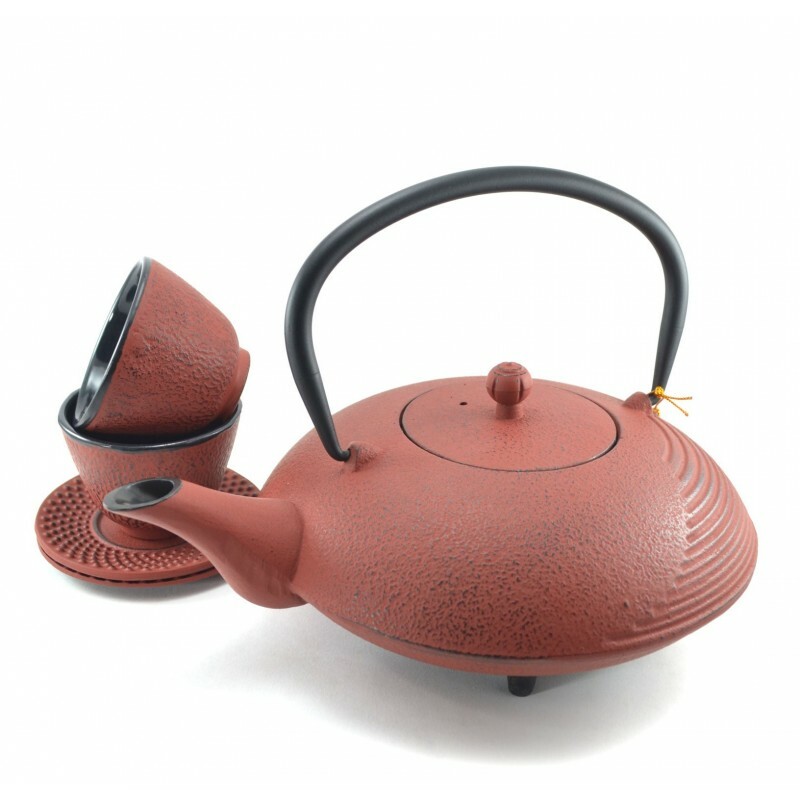 The Sandy Brown Tea Set is a mix of a lovely designed teapot with swirls of color on one side and a bumpy design on the other. 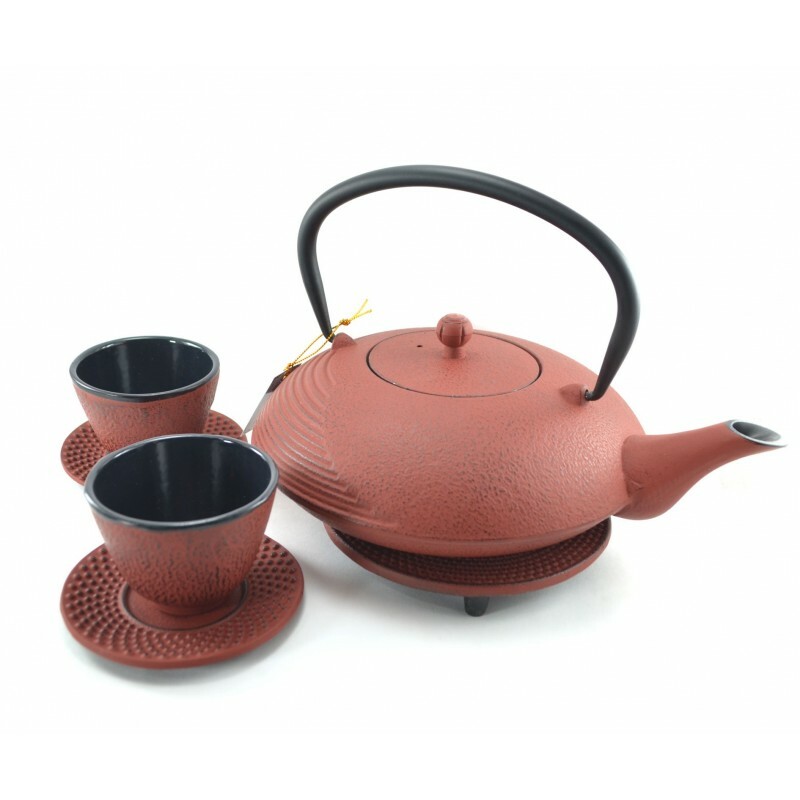 The accompanying two cups also have this little bumpy design, and the two saucers have a more pronounced hobnail design. 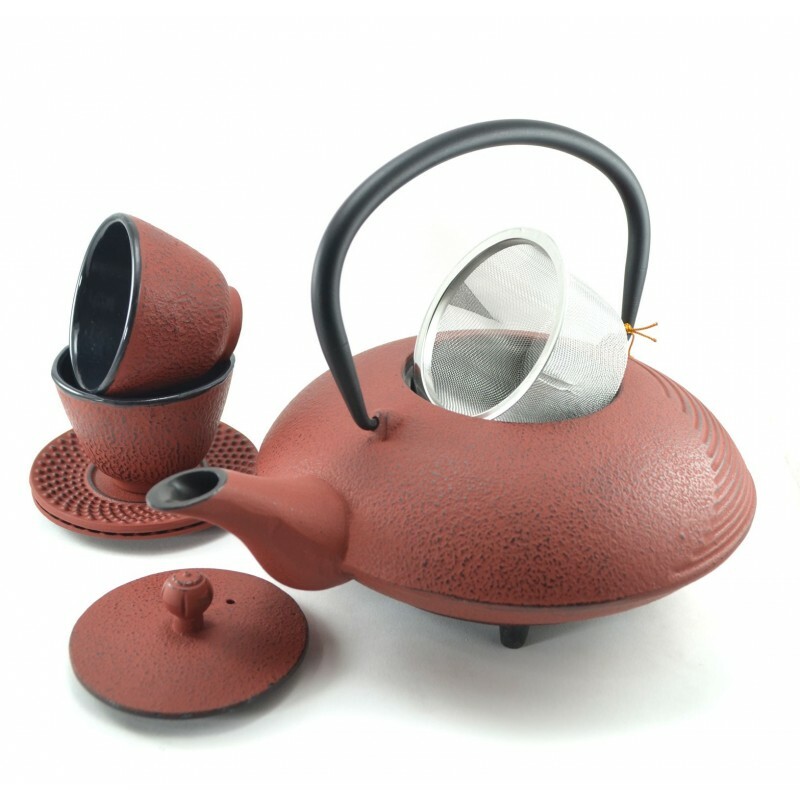 Cast iron is a better heat conductor so your tea will be kept hot and delicious. By buying this product you can collect up to 289 loyalty points. Your cart will total 289 loyalty points that can be converted into a voucher of ฿ 86.70. Capacity of cup 75 ml or 2.53 Oz. Capacity of Teapot 750 ml or 25.36 Oz.